My thoughts about the day can be found at 9/11/2001 Thoughts. 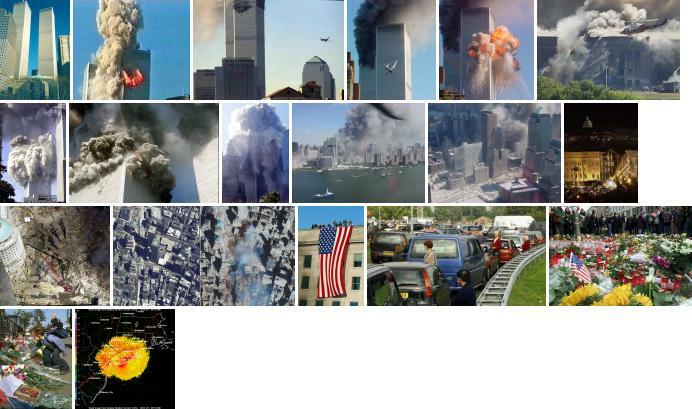 A very interesting, detailed timeline of the events of the day at 9/11/2001 Timeline. I've grabbed the following pictures to remind us of the horror of the day. I think it is important for us to remember our feelings and responses to the tragedy. 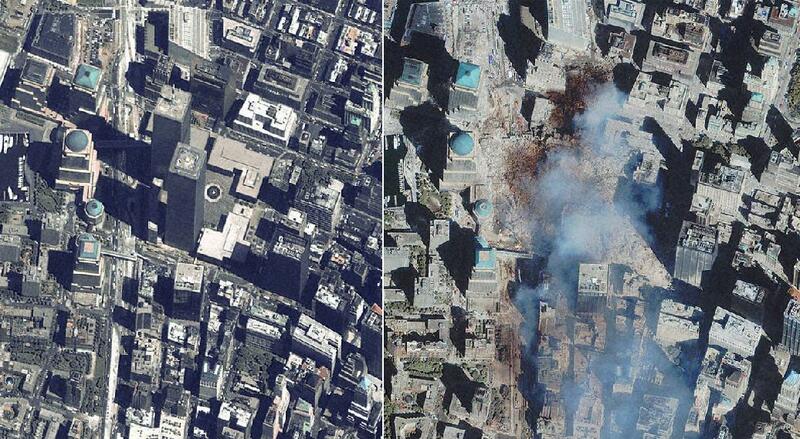 One of the most striking is the side-by-side satellite image of the before and after. PLEASE NOTE: I do not own the rights to any of the following images. I am republishing them here without permission. I do not know who the owners of these images are nor who to contact to get permission. If you republish them also without permission, you cannot use my name nor put a link to this site. More pictures: the attack World Trade Center collapse video camera images of the pentagon crash world reaction cleanup site on Staten Island.